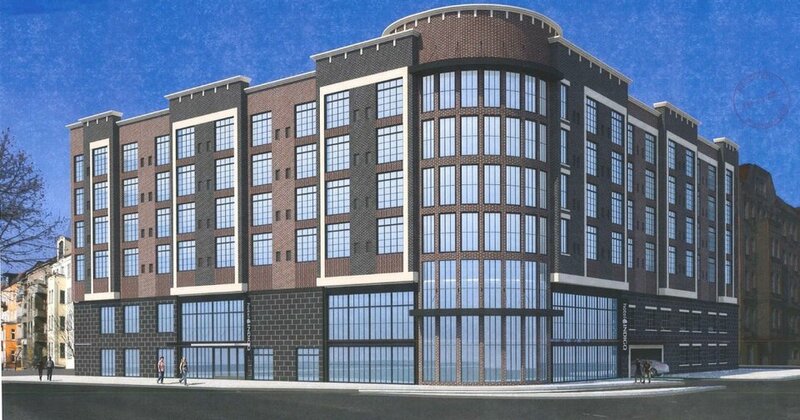 A six-story, 135-room Indigo Hotel with underground parking is being pitched by hotelier Atul Patel for a corner in Deep Deuce that previously saw plans for a Springhill Suites dropped following opposition from nearby residents. The hotel site at 330 NE 1 is across from The Hill townhomes and the five-story Hyatt Hotel and AC Hotel. Unlike the previous project, which had a multicolored stucco facade, the new plans show a brick-clad L-shaped building that includes structured underground parking along with additional covered spaces on the first and second floor. Patel said he backtracked on developing the site until he could find a franchise that would allow for the design to match the neighborhood. "We need to blend in," Patel said. "We wanted to use the materials we could find in the neighborhood — brick and rock. We want it to look like one continuous portion of the neighborhood." Hotel Indigos were started in 2004 and are designed as boutique operations that are customized to fit in with surrounding neighborhoods. The hotels, part of IHG, has 53 locations in the United States with other properties worldwide. "If you look at the Indigo Hotels, they are all different and they look like the neighborhood they are in," Patel said. "They even told us, they want us to tell the story of the neighborhood. If someone stays, there they should know where they are." The first floor will include a bar and a breakfast and dinner restaurant facing Russell Perry Avenue. The hotel also will include a courtyard with a fire pit and a rooftop bar. No parking will be visible to the street. Patel estimated 30 percent of the $16 million project cost is tied to the added expense of building 100 structured parking spaces within the hotel. Patel said he hopes to start construction later this year pending approval from the Downtown Design Review Committee.